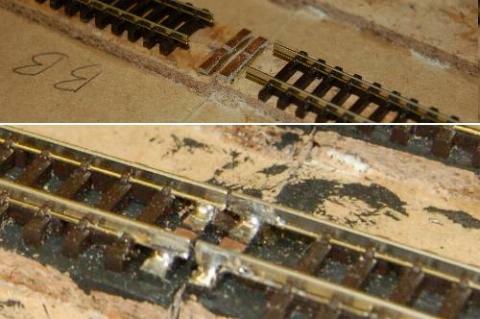 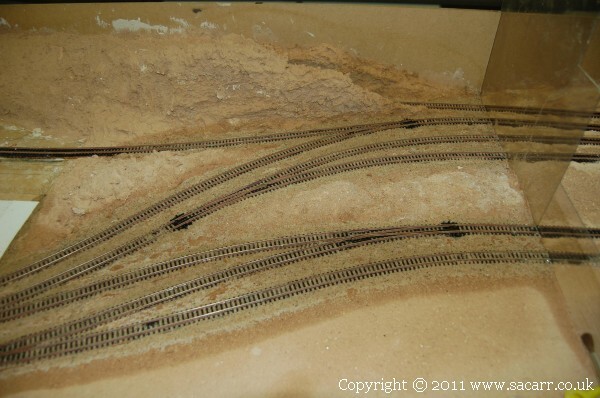 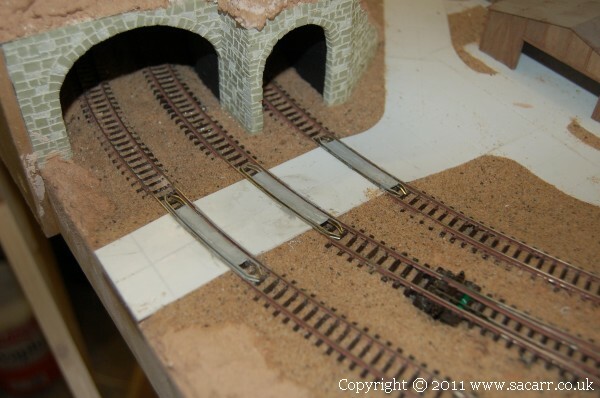 All of the track on this layout is flexi-track, made by Peco. 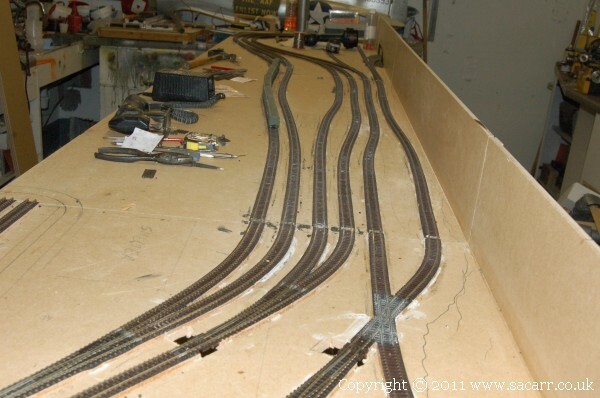 Most of the turnouts are large radius with only a few medium radius turnouts used in the staging yard and a couple where space was limited on the main lines. 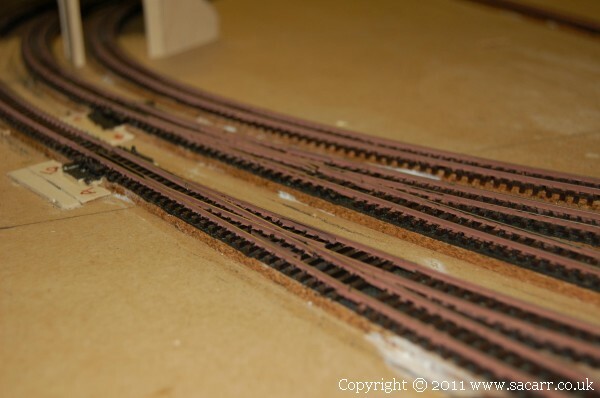 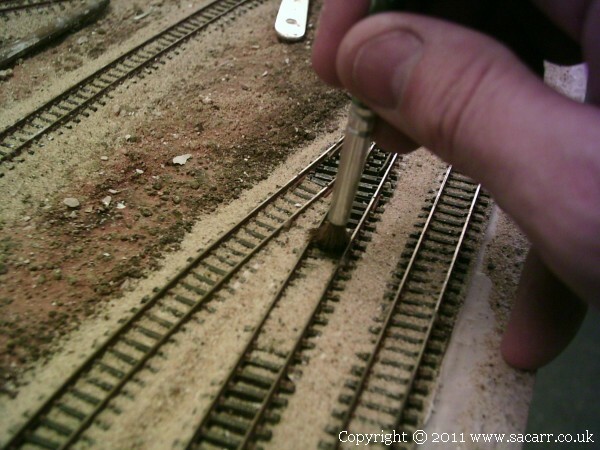 To try and reduce the chance of derailments, especially with the big articulated locos, most of the turnouts are arranged so the trains pass through the turnout blades in a trailing direction. 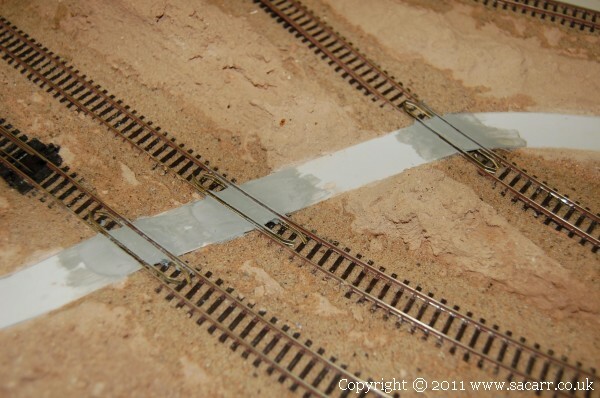 Road crossings all have check rails to help prevent derailments of trains as they pass over the roads.